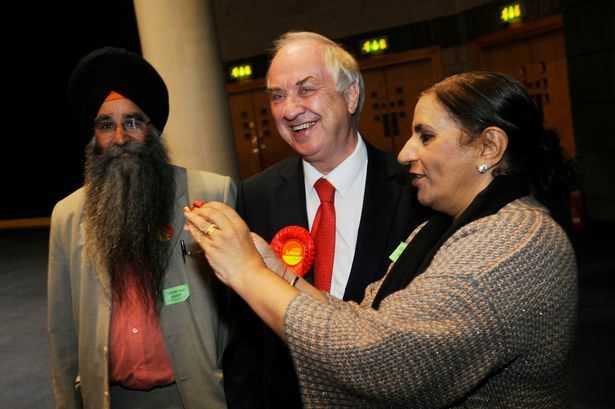 Labour&apos;s David Jamieson, a surprise late entry to the contest, has been elected West Midlands police and crime commissioner with 50.83 per cent of the vote. Turnout for the election was only 10.32 per cent of the eligible electorate which is just under two million people. It is less fewer the 11.96 per cent of people who turned out two years ago to first elect the region&apos;s commissioner (PCC). Today&apos;s figure is also below the lowest turnout figure posted during the PCC elections in 2012, which was 11.6 per cent in Staffordshire. The poor turnout sparked calls for the process to be reformed, with Labour calling the by-election "a shambles". The cost to the taxpayer of staging the poll has been estimated at at least £3.7 million, which works out at just under £20 for every vote cast. The election was called following the death of Bob Jones last month. Jack Dromey, shadow minister for police, said it had been a by-election "characterised by costly chaos and a record low turnout". The role of commissioners, who oversee policing and force budgets, were introduced across the UK by a piece of Government legislation called the Police Reform and Social Responsibility Act 2011. Mr Dromey described the legislation, which meant a by-election had been triggered to fall during the summer holidays when many voters are away and just before a Bank Holiday weekend, as "a shambles", benefiting neither candidates nor the electorate. He added that Labour was now consulting on the future of commissioners, having opposed their original introduction by the Government. He said he would await the outcome of that process, due in the autumn, rather than "make a snap decision" as to whether they should be scrapped outright. The Electoral Reform Society (ERS) said the law needed looking at, calling it "a very depressing turnout". Chris Terry, a research officer with the ERS, said: "I think it could have been better had more thought been put into the process of how the by-election was run." Commissioners were first elected nationwide in 2012, with turnout nationally on that occasion at 15 per cent. The role was created to increase the police&apos;s accountability to the public and boost transparency. 2012: Turnout 238,384 (11.96%). First Count - Jones (Lab) 100,130; Bennett (C) 44,130; Hannon (Ind) 30,778; Etheridge (Ukip) 17,563; Webley (Ind) 17,488; Khan (LD) 15,413; Rumble (Ind) 12,882. Elected: Jones.